Dr. Paul Howard is a Board Certified Plastic Surgeon in Birmingham, Alabama.Dr. Howard’s philosophy is to provide the best possible patient care through the use of innovative techniques delivered in a comfortable, thoughtful, and confident manner. Dr. Howard’s mission is to provide the patient with world-class medical care with the privacy and amenities of a private practice setting. When the person desiring a cosmetic procedure is well informed, healthy, and has realistic expectations, cosmetic surgery can be an enormously fulfilling experience for both patient and surgeon. 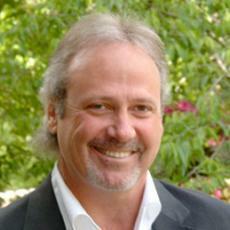 Dr. Paul Howard is a Board Certified Plastic Surgeon in Birmingham, Alabama.Dr. Howard's extensive background in reconstructive plastic surgery has made him one of the most sought after Facial Plastic Surgery Specialists.His patients are an elite group of people who believe there can be no compromising when it comes to cosmetic surgery enhancement.Dr. Howard is internationally recognized for his artistic vision, personalized patient care, and highly trained staff.We hope the information on this site will help you become more informed in Cosmetic Plastic Surgery.